The début of Shutter Island around this time last year was followed by a number of reviews eager to dismiss it as an empty genre film. After viewing the film, A. O. Scott, a critic I generally admire, wrote that “[the feeling that] the whole movie has been a strained and pointless contrivance starts to take hold.” (The New York Times). Others wondered if the film’s ending could justify the disturbing imagery and excess of the preceding two-and-a-half hours. I believe that many of these critics missed the point; there's more to Shutter Island than style and cheap thrills. Is it possible that an atmospheric, allusion-filled thriller could actually have something to say? 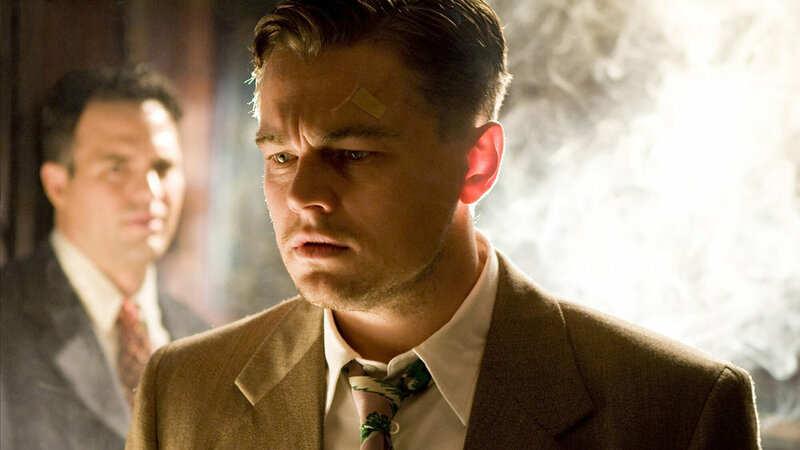 Is Shutter Island just a thrilling genre exercise? Or is it rather a powerful reflection on the delusions of Modernity and the trauma of violence? Scorsese, like Tarantino (and unlike so many literal-minded fans), doesn't treat genre as mere escapism, but recognizes its power (Can I say that Shutter Island would make a great double feature with Inglourious Basterds and not just because both contain Nazis?). The form, rather than being an empty vessel that holds the content, is actually integral to the emotional resonance of the film. Rather than allowing us to dismiss it as genre fluff, the paranoia and scares of the mystery/thriller (as well the impeccable camera work and atmospheric score) provide the framing necessary to approach the subject of delusion without clinical distance, or overt sentimentality. I feel Scorsese explores the limits of genre in Shutter Island using the themes of delusion and trauma. Genre, by its very nature, offers familiar tropes that are comforting: i.e. we don't go into a romance expecting to be scared out of our wits. Genre acts as a kind of comforting metanarrative, where the boundaries are set beforehand for maximum gratification and comfort. I for one, think Shutter Island would be less affecting and comprehensible without the genre trappings. Shutter Island centres on U.S. Marshall Andrew Laeddis (Leonardo DiCaprio) and his extreme repression of the murder of his wife at his own hands, and the creation of a more comforting reality where he is instead, still a U.S. Marshall, one Teddy Daniels, investigating a missing prisoner on Shutter Island in Boston Harbour in 1954. Scorsese has often examined the lives of men who, in despair, fashion narrative delusions to help them cope with a harsh reality, such as Travis Bickle in Taxi Driver (I am reminded of a reading of the end of Taxi Driver that explains the “happy ending” as Travis's delusions, eliding the fact that he either dies or is incarcerated in the aftermath of the shoot out) or the Jesus of The Last Temptation of Christ unable to face death on a cross. On second viewing, I was struck when Dr. Naehring (Max Von Sydow) asks Teddy if he believes in God; I couldn't help seeing Laeddis's repression as a comforting delusion (especially given Dr. Naehring's implied feelings about God). How we feel about this might say something about whether we see Laeddis’s delusional quest, and Dr. Cawley's (Ben Kingsley) elaborate role-play scenario to bring him back from self-deception, as a completely pointless exercise (as some see Scorsese's film), or an exploration of how we can continue to live in the face of monstrous evil. Of course Laeddis's quest is more than a simple metaphor (if it were, it might lessen the final impact of the film, and justify those who deem the film tasteless). The underlying theme – further revealed through the references to the H-bomb, HUAC, etc. – is the desire to rid ourselves of collective guilt over the crimes we have committed (even, perhaps understandably, in response to other more horrible crimes). Narratives allow us to deal with the loss of meaning we face after encountering such events as the Holocaust. Laeddis's (a-historical?) memories of Dachau are both his attempts to rehabilitate what he did to his wife and also collective social nightmares. Scorsese renders Laeddis's nightmares in vivid Technicolor, all but underlining their importance to the larger puzzle (although I should mention that I find the dreams uniquely compelling even apart from their significance, calling to mind some of David Lynch's most surreal moments). Ultimately, Laeddis is unable to forgive his crime without placing it in the context of something appropriately awful. The narrative of Modernism re-writes history to placate the guilt of failing to prevent evil: it justifies our use of nuclear weapons by insisting that their use is necessary; it makes us feel good about slaughtering Nazis, and voids the messy questions of how events such as the Holocaust are able to occur. Historical traumas are given a kind of greater narrative meaning in the face of such horror. But perhaps the real question is whether that meaning is grounded in reality, or merely a comforting delusion.